Please join us to learn from expert instructors about Ham radio. Send an email to w6haclass@w6ha.com to register. The class is open to anyone. The ARRL Technician manual is a good study guide. Some people prefer the study guide written by Gordon West. Either will work, the class is organized around the ARRL book. No experience is required. You do not need to have a radio. You will get a chance to see and use different types of radios as part of the class. There is NO morse code requirement for a Ham license, just understanding of regulations, equipment, safety, and methods. The club offers free technician license training classes each year. Our goal is to help anyone who wants to become a Ham. Classes are held on two consecutive Saturdays with a license test held at the end of the second Saturday. The class is open to anyone, though for each course we do limit the number of students to a manageable number. The class uses multimedia and hands on demonstrations illustrating the components and equipment. During breaks you will have a chance to try the Ham radios. The class will cover what you need to know to earn your Technician Level license: math, electrical, regulations, radio operation, antennas, and safety. Both days will start at 8AM and end at 5PM. Location: Manhattan Beach. Address will be sent via email to those who register at w6haclass@w6ha.com. Lunch: Bring your own sack lunch and snacks for the day. We will have breaks, but not enough time to go out for lunch. 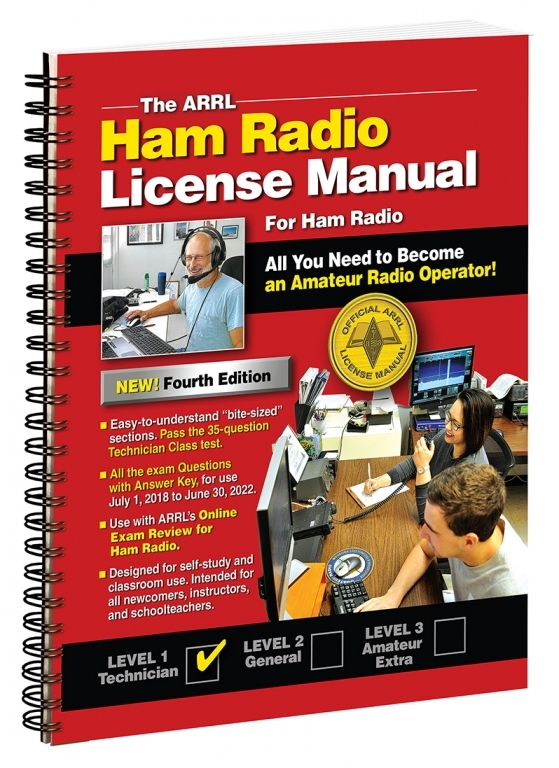 Preparation: Get the ARRL Technician License Manual Edition 4 and read it before the class.This covers all test questions. The technician license provides FCC authorization to use hand held radios and more powerful mobile or fixed station radios commonly used for emergency communications, group coordination, and health and safety operations. Some reading and study before the class will be important. Acquire the Technician License Manual and read as much of it as you can. The class will cover the same material and provide a chance to ask questions. Before the second class session you will want to get a Federal Registration Number (FRN) from the FCC web site. This will be your identifying number for the FCC (avoids using your social security number). For test day you will also need to bring a photo id. Details on both of these are in the manual and will be discussed the first week. A simple calculator is a good idea for the test too. There is much material to cover in the class including regulations, math, electrical, radio theory, types of equipment, and safety. The instructors will be using PowerPoint slides augmented with radio gear displays and demonstrations to ensure students understand the material for the test. Typically a few weeks after you have your new call sign issued by the FCC, we will hold a skills day in the park to give each new HAM a chance to learn how to program their radios, practice making radio contacts, and fill in any remaining knowledge gaps. In our previous classes nearly all of our participants have earned their license. There is much to learn because of the broad privileges you will have as a licensed Amateur Radio Operator. This will be a fast moving class, but we can help you learn. Consider taking a few practice tests. These sites have tests you can try.